Mobile homes have restricted space for the living areas and kitchens. That makes it a quite tricky option to work with. Their kitchens are also manufactured in such a way that they have very simple layouts. There are usually two walls on either side which come with appliances and cabinets installed on them. The space of the kitchen varies from one model to another. The material used for building the cabinets is not that good either. Latest design ideas for mobile home kitchens focus on DIY remodelling of this space. Hence, in order to make optimal use of such a small space, the owners are trying to renovate their kitchens. For this reason, mobile home kitchen renovation tips and ideas are quite sought-after. One of the most important kitchen renovation tips for mobile homes 2018 is that you can change the entire layout. Some walls can be removed to create additional kitchen space. Open kitchens are some of the biggest trends among the latest design ideas for mobile home kitchens. This adds a lot of additional space to the living area and makes it appear more inviting. But tearing out walls is not always a possibility in some models of mobile homes. Hence, it becomes important to consult a professional contractor to get an idea of what is feasible. If walls are removed without proper knowledge of the mobile home’s build, it may cause structural damage. This might lead to a loss of its HUD code and affect its future market value. 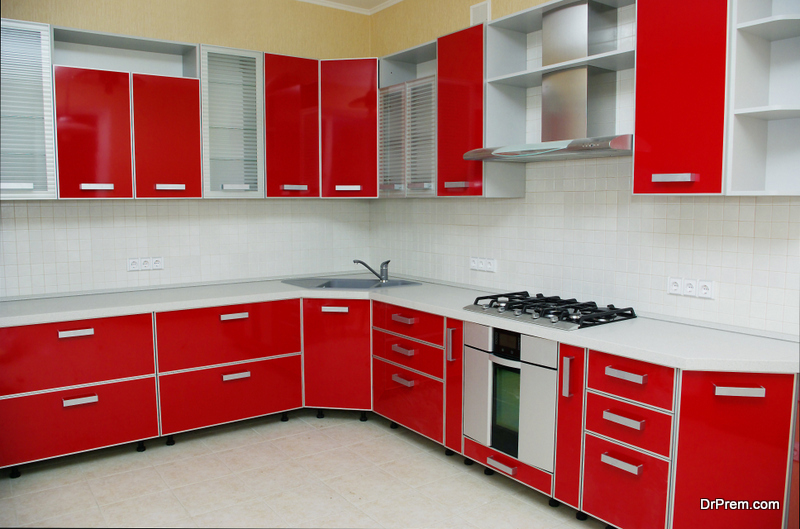 The cabinets in a mobile home are most frequently made of materials that are cost-effective and not always aesthetic. They are most commonly made from laminated woods or plywood which do not have any type of finishing. New owners can either replace these cabinets or refurbish them using a new coat of paint and ornate door handles. 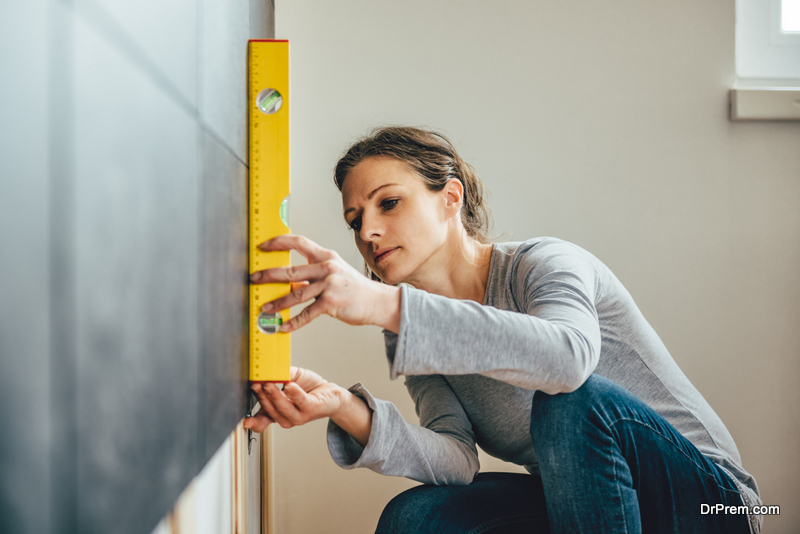 Completely replacing the cabinets should be the last option to consider since it is not very cost-effective. Cabinet panels can also be added in order to cover the plain surfaces near the ends. These panels can have decorative designs embossed on them. They need to be fixed before the repainting work starts to make the paint hold consistently. Kitchen island countertops are one of the most practical kitchen renovation tips for mobile homes 2018. This really adds to the entire character of the kitchen space. It is even possible to purchase mobile kitchen islands for the purpose! These can be used to take the food from the kitchen to the dining area. Some of the modern kitchen islands come equipped with an array of inbuilt racks and cabinets. These cabinets can be used for storing cutlery, chopping boards, cookware, utensils and kitchen towels. This makes installing the kitchen island one of the best ideas to renovate your mobile home kitchen. Hanging racks for pans and pots is one of the latest design ideas for mobile home kitchens. Most mobile house dwellers usually purchase the mobile kitchen island and racks together. The racks are usually placed right overhead the kitchen island. This is done taking both aesthetics and convenience into consideration. Not only do these look aesthetic, they save a lot of storage space which can be used for other items. The kitchen is a place which requires good lighting conditions. Hence it is important to install good lighting. Additional windows can be installed to allow more sunlight to pass. Adding more lights is another option. Different kinds of lights include loft lamps and under-cabinet lights. The under-cabinet lights remain hidden from the eyes, yet emanate a soft glow at night. One of the most versatile ideas to renovate your mobile home kitchen is to replace the drawers. A number of multi-functional drawers are available in the market which can be used as a replacement. Some of these options include soft-closing and fully-extendable drawers. Other types of drawers include tiered drawers in which the bottom drawers extend out further than the ones on top. Rotating cabinets for corners are quite popular if you intend to add new cabinets.